Polarized training is a combination of mostly easy mileage with intensities above lactate threshold. In a scientific study, it beat high volume training, threshold training, and high-intensity training. (Who wouldn’t have guessed that?!) In this article, I will outline a more inclusive and detailed approach to polarized training that covers the full spectrum of intensities in the right amounts. If you are like most runners, you like that feeling of comfortable hard runs for a comfortable length of time. It seems time-efficient and you leave training with a perceived sense of accomplishment, without being all worn out. 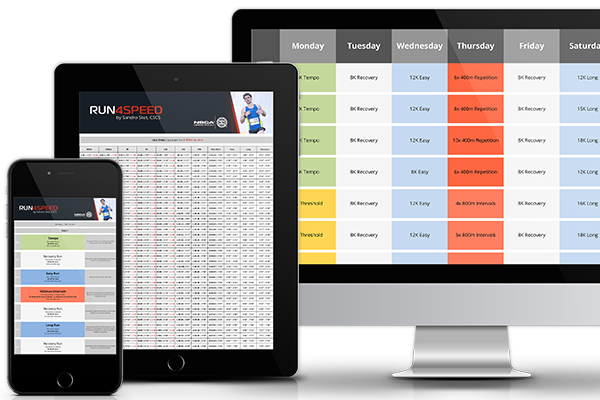 These are commonly tempo runs with a pace slightly under lactate threshold, which falls somewhere between marathon to half-marathon pace. This approach to training, however, is neither effective nor efficient. First, these high-end aerobic runs do not challenge your physiological systems sufficiently to significantly upgrade your lactate threshold, VO2max, and neuromuscular power – all of which make you a faster runner at any distance. Second, these moderate paced runs are still taxing your body to a large degree. Therefore a common suggestion is to run 80% of your overall mileage at a truly easy pace and 20% above the lactate threshold. That way you’re able to build up significant aerobic mileage and still feel fresh for the high demands of VO2max intervals and speedwork. In my opinion, that’s better than what most runners do but I think it’s problematic to exclude tempo runs altogether. Also, I would argue that 80/20, albeit a good rule of thumb, is by no means an exact science. 20% of long VO2max intervals at 10K pace are very different from short supramaximal efforts at 1500m pace. In the following paragraphs, I will elaborate on how your training volume, your genetic runner type, your event, and your current training cycle will skew the 80/20 rule. Volume-specific polarization: 120 miles/week with 15 – 20 training sessions/week require a different structure than 30 miles/week with 4 training sessions/week. 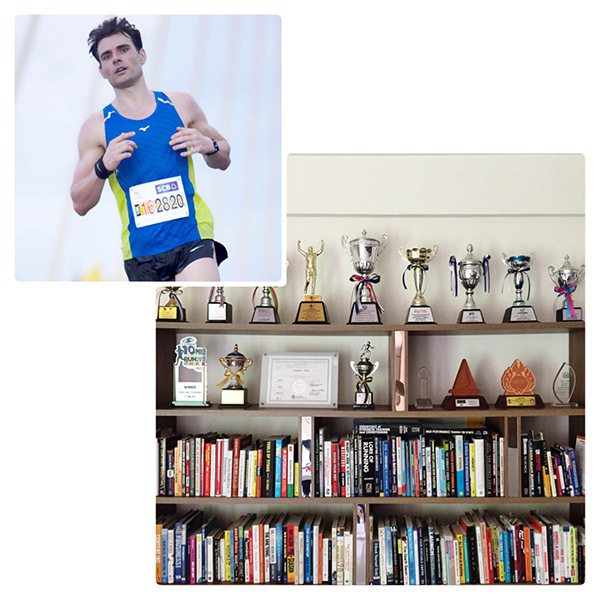 Someone who trains 2 – 3 times/day can allow for excessive easy mileage and still get a large volume of quality runs in. If you run only 4 – 5 times a week you’ve got have a higher ratio of quality workouts in your training weeks. Type-specific polarization: A prominent genetic distinction between runners is their inherited muscle fiber profile. Slow-twitch runners (ST-types) and fast-twitch runners (FT-types). ST-types generally can handle a larger training volume of easy runs, tempo runs, and long runs but they are challenged to perform and recover from VO2max intervals, and speedwork. For FT-types it’s the opposite. Event-specific polarization: While 5K runners and marathon runners alike require a solid basis of general endurance, a high lactate threshold, a high VO2max, and neuromuscular power, the emphasis in training is notably different. 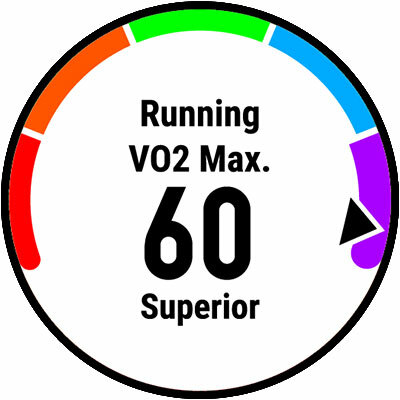 A 5K runner needs to spend a higher ratio of her training at VO2max and track work, whereas a marathoner should focus more on easy volume and tempo runs. Cycle-specific polarization: Finally, there’s a significant difference whether you are in your base training cycle or in the race-specific cycle. During base training over 90% will be at intensities below your lactate threshold with only a tiny amount of neuromuscular training to preserve your speed. 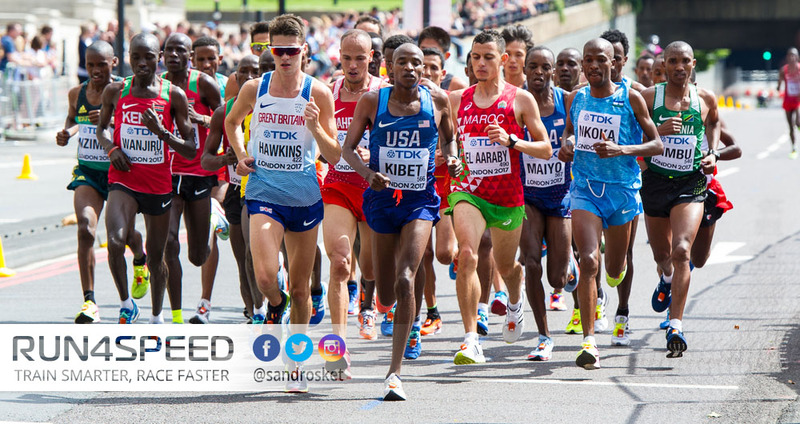 During the race-specific phase, VO2max and lactate threshold training can make up to 30%. In summary: The 80/20 rule is a good guideline to follow if it doesn’t exclude threshold runs altogether. But as stated above, you will have to come up with your very own ratio of aerobic and anaerobic mileage (and it’s finer distinctions) depending on your training volume, your type, your event, and your current cycle. Only then will you be able to maximize the results of your training efforts.